Nothing is better for an indie game designer than to have one of your games enjoyed enough for it to get some sort of public stamp of approval. This page will be a collection of official awards and other recognitions given to my games. Toward the end of each year, GAMES Magazine used to publish their “GAMES 100” — a list of the best 100 game of the year. I have had four games honored by them. Sadly, they no longer review games. 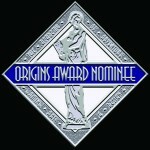 Every year at the Origins game convention, a series of awards are given out. Space Mission was a 2011 nominee in the “Best Family, Party or Children’s Game” category. Dicey Curves made the shortlist in the same category. The Family Review Center is a website and publication that reviews a wide range of family-use products, including toys and games. Subtilla received their “Best of 2012” Award. 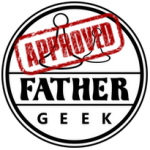 TheFamilyGamers.com is a website for a group of podcasters and game reviewers focused on family-friendly gaming content across a number of platforms, including tabletop games. Santa’s Little Helpers and the Ice Cube Jam made their 2016 Game Shopping guide as a stocking-stuffer option in their “games for older kids” section.